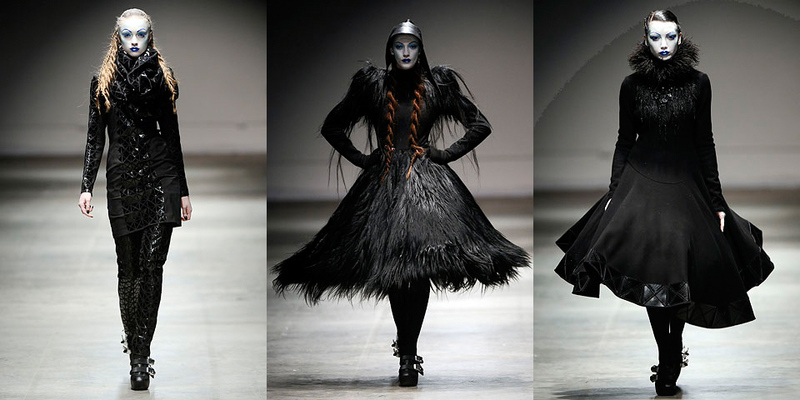 In February of 2008, 24 year old British designer Gareth Pugh sent his models down the runway looking like something out of a macabre daydream. It had been described as “The Wizard of Oz bumped into Predator”, and his Spring 2009 Ready to Wear that recently graced the runways is yet another dichotomous mix. He’s went over to the light side, with something straight out of Star Wars meets the Queen of Hearts. I can’t say I entirely understand what’s going on, but I know I like it. I would pimp myself for these clothes. I am so sad that he refused to do a budget line for Target I think it was.